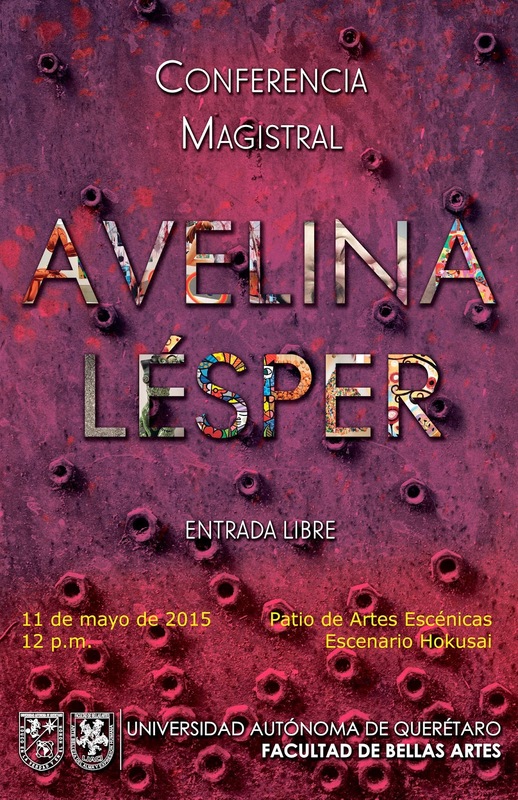 Avelina Lésper: CONFERENCIA EN LA UNIVERSIDAD AUTÓNOMA DE QUERÉTARO. CONFERENCIA EN LA UNIVERSIDAD AUTÓNOMA DE QUERÉTARO. 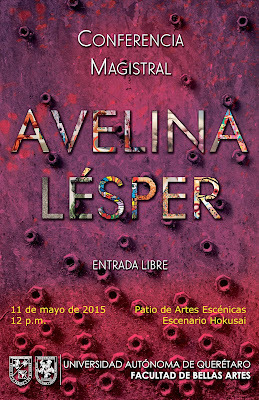 Están invitados a la conferencia que impartiré en la Universidad Autónoma de Querétaro, Facultad de Bellas Artes, el día 11 de mayo del 2015 a las 12 pm. En el Patio de las Artes Escénicas, Escenario Hokusai. Es entrada libre. Qué lástima que estés separada de Querétaro por un océano y varios miles de kilómetros.Que tengas mucho éxito. Buenas tardes, ¿tendrá un correo de contacto para poder hablar sobre la oportunidad de trabajar junto a usted? ,QUERRÍA SER COMO USTED DE HONESTA,VERAZ Y EFICIENTE. RECIBA MI ADMIRACIÓN Y MI RESPETO....D.A.M. Será esta a Crítica de arte do séc.XXI. Eu também pensava que estaba sozinha nos pensamentos mas é satisfatório ver que não é assim. O mundo da Arte terá de mudar e talvez seja a sua missão começar este processo. Os seus escritos têm seguidores do outro lado do Atlântico. My spanish is not very good so I'll write in English. I wasn't able to see any of your reply to any comment here, so I am afraid to be talking to the void. Even thought I will risk it. 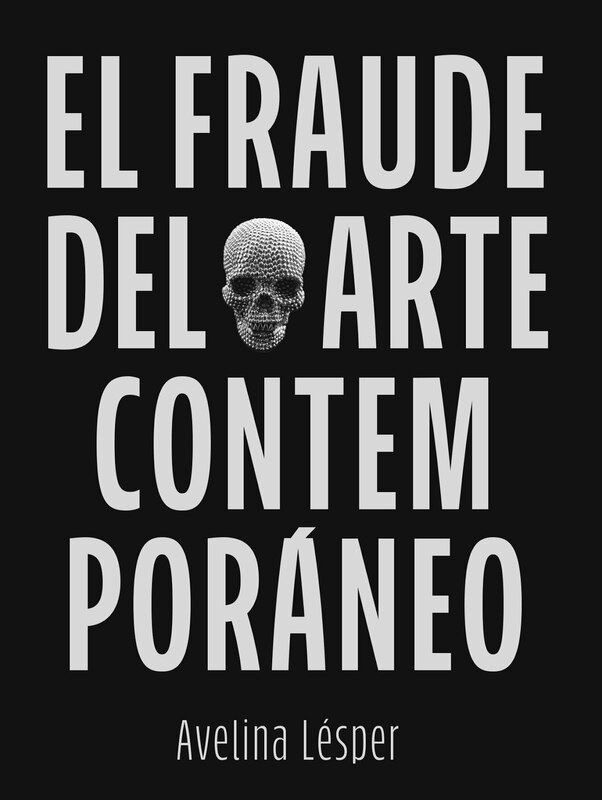 I have some comments to make about a video I just watched of a presentantion you did ( http://incubadoradeartistas.com/2014/01/15/a-arte-contemporanea-e-uma-farsa-avelina-lesper/). First of all, I like the straight and objective way you engaged such a complex matter! Most of the critics often don't do it as a defensive mechanism, as they can't be, themselves, criticised if others don't fully get what they are talking about. I have to say that I don't agree with almost none of the assumptions you made in the video, but that's not a problem for me and I can leave that for another occasion. I'm writing specifically to call the attention for a moment in your lecture when you stated that Picasso is a genious because his work can't be reproduced or imitated as other painters could. I can get your idea as I think the same for other artists. Take for example, another genious, Vermeer. He used almost everytime the same materials, he stood by the same composition schematics, the same palette, the same luminous focus, a strict stratigraphic construction, etc...Even being so orthodox, for the trained eyes or for those more passionate about his work, a copy or a forgery of his work wouldn´t be very hard to spot. Amongst other reasons, his blue it is is blue. Saying this, I can't agree with the same idea for Picasso. It is unanimous that he was in fact a genious (although I personally can't relate aesthetically or ethically with his work) as his importance relies, in my opinion, in finally closing the perspective window for another reality (endind what Cézanne started) that european art always attempted to aim, since the beggining of its artistic manifestations. A window genially opened, empirically or scientifically - by the "discover" of Brunelleschi, spreaded out by Alberti, and depicted beautifully by many, as de la Francesca or Masaccio. The argument of the impossibility or reproducing or simply imitating of Picasso's work, by contrast with others, is simply not true. Some of his works are possible to imitate and there's more... it is very easy to produce works that fit perfectly in his extensive repertoire. And most of all, it would be much more difficult to identify a copy or a fake amongst his work in comparison with others you mentioned. I am almost certain that amongst his more than 12000 works, many of them are fake or simply not his.